The H.M.M.A.C. recently announced the release of their second collection of Canadian metal music (actually, it was about two weeks ago — the official release was on Canada Day)! If you missed out on the first volume from back in October, it’s no longer free, but you can still grab a copy for really cheap right here from LoudTrax. 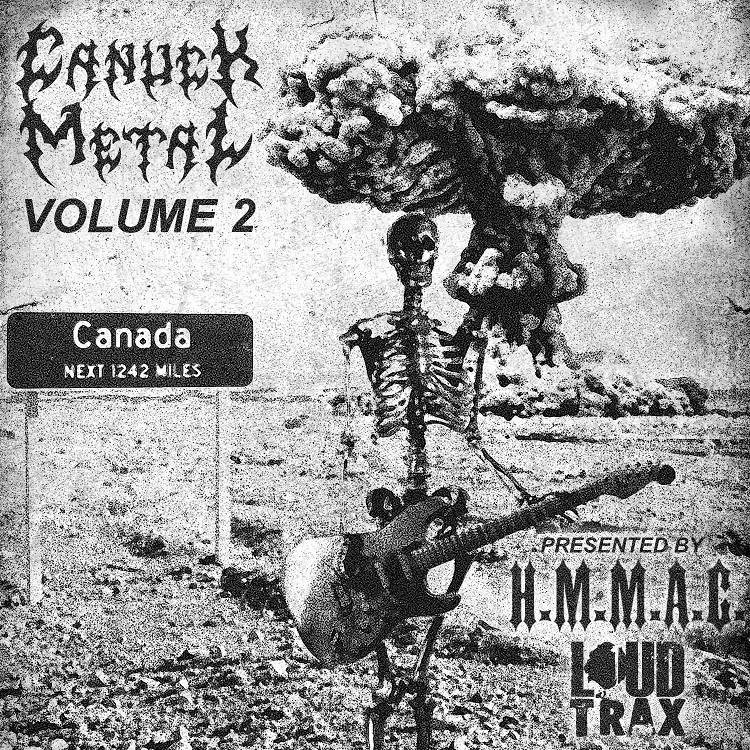 Spanning a variety of hard rock and heavy metal as wide as the Canadian countryside itself, Canuck Metal Vol.2 includes an hour’s worth of songs from a bunch of bands that might be familiar to you, and some that might not be but should be! (Another song that you may have heard before — the album it comes from, Elder Lore/The Dark Arts, was reviewed here, and that post also told how to download this single for free. Grab your free copy of this compilation from LoudTrax here — note that it does require a promo code to activate the download, but that code is conveniently provided immediately above the download link! This entry was posted in Free Downloads, Free Stuff, New Releases and tagged Arapacis, Canada, Canuck Metal, Crisis Kings, Forbidden Sin, H.M.M.A.C., Heavy Metal Music Association of Canada, Hollow, Hymnosis, LoudTrax, Makaria, Nephelium, Project Mars, Sanktuary, The New Jacobin Club, The Void, Trainwreck Architect, Tribune, Wolven Ancestry. Bookmark the permalink. Just for that, I went and added another post about a compilation of music from where I live, too!